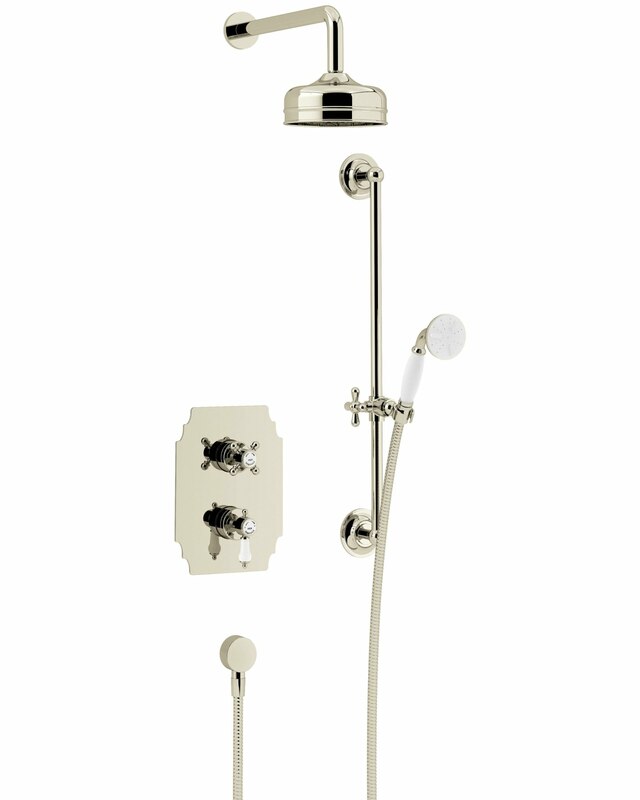 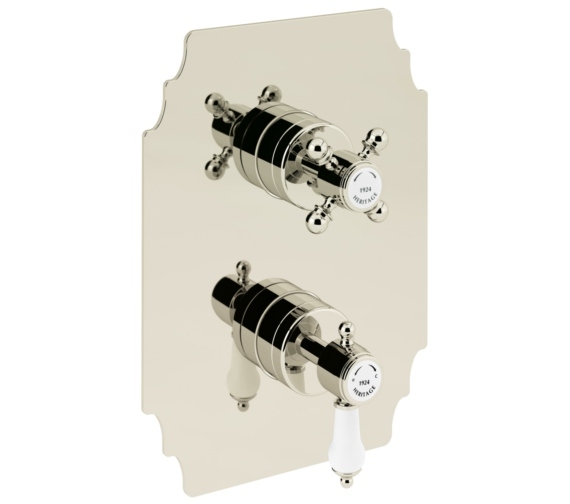 The Heritage Glastonbury Recessed Thermostatic Valve features a classic design which lends a degree of class and sophistication to the bathroom. 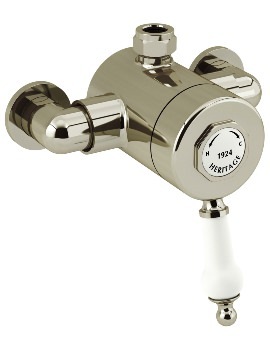 With separate vintage cross-headed controls operated with ceramic cartridge technology, this unit gives the user easy control over water flow and temperature. 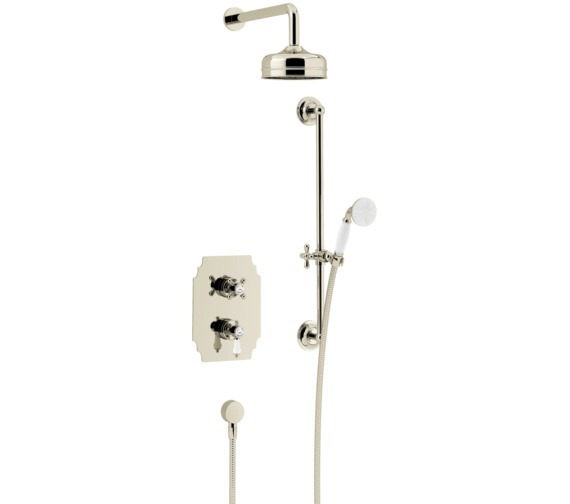 The finish with white detailing on handset and controls enhances the traditional design. 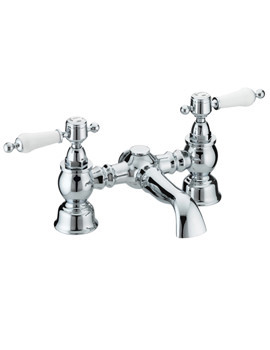 It includes an automatic cut-off should there be a loss of cold water. 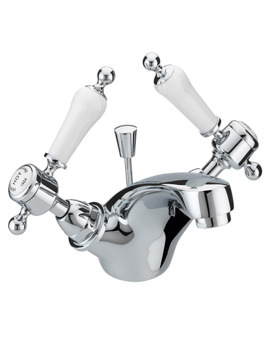 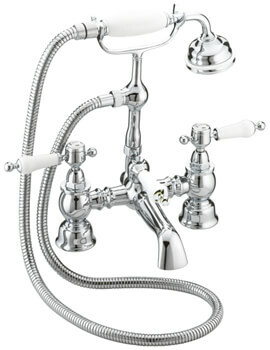 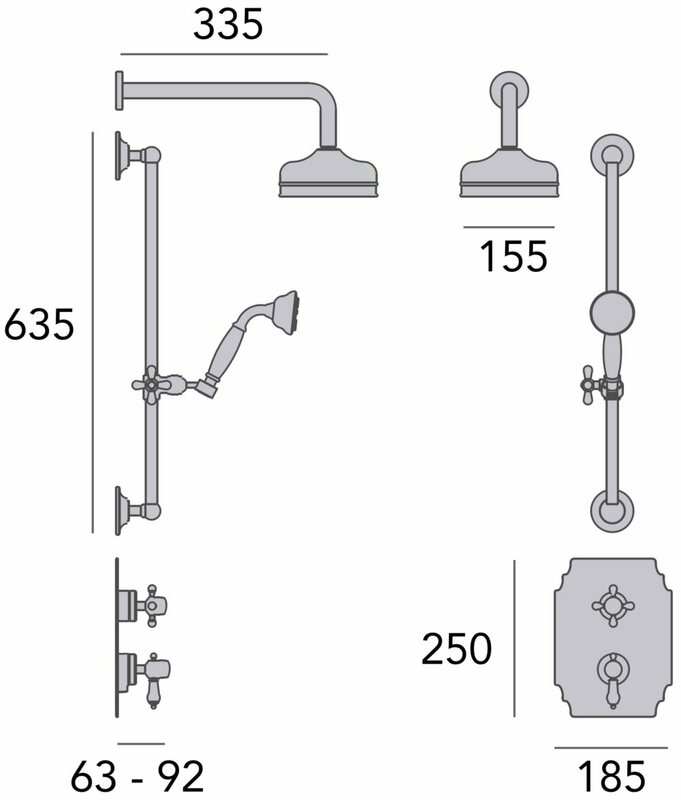 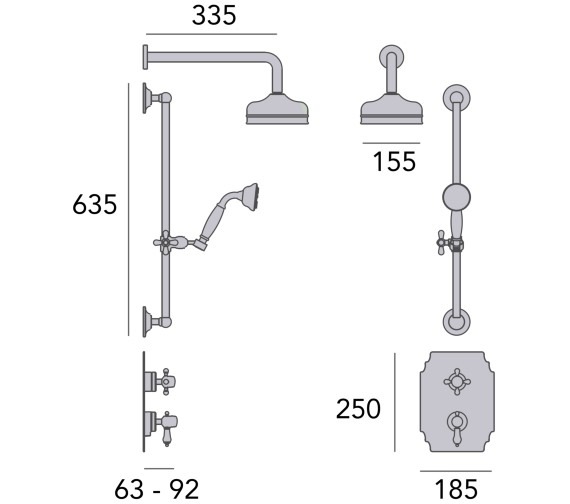 Attached to a wall mounting arm, the fixed, large, and round Shower Rose ensures a thorough shower each time. 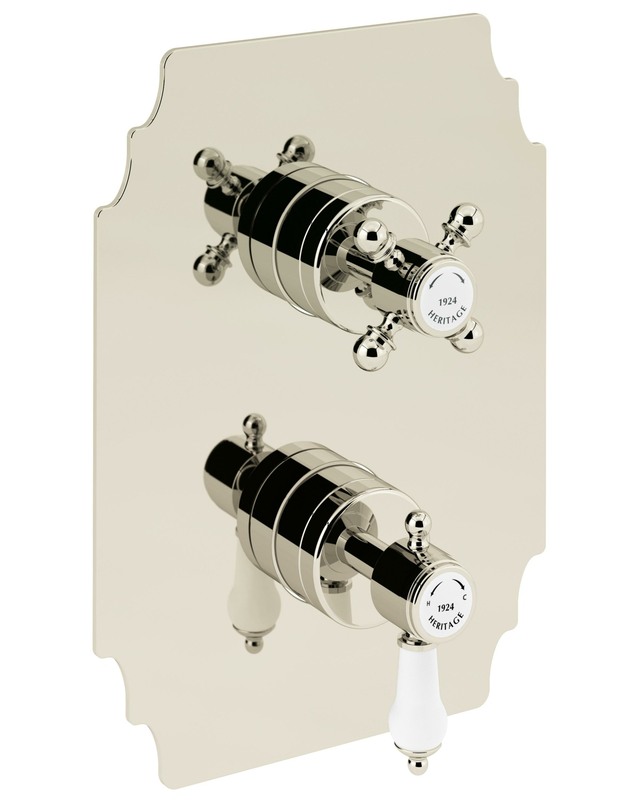 Featuring a superb spray and a generous flex, the separate handset is the ideal piece for convenient rinsing facilities. The slide rail ensures you can rest your shower head at the required height.